The Wicomico County Council has reportedly ended debate on using speed cameras near schools at its Tuesday January 18th meeting. 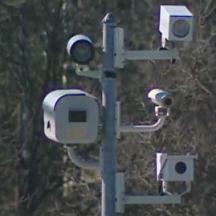 The council members voted 5-1 against introducing a bill to authorize speed cameras. Speed cameras are already in use in Fruitland, Maryland in Wicomico County, and both Princess Anne and Salisbury have been considering getting speed cameras. Wicomico could also reintroduce the legislation at a later date.